Have you ever wondered why only minutes after shampooing your hair tends to become greasy and sticky? Well, the reason is simple. 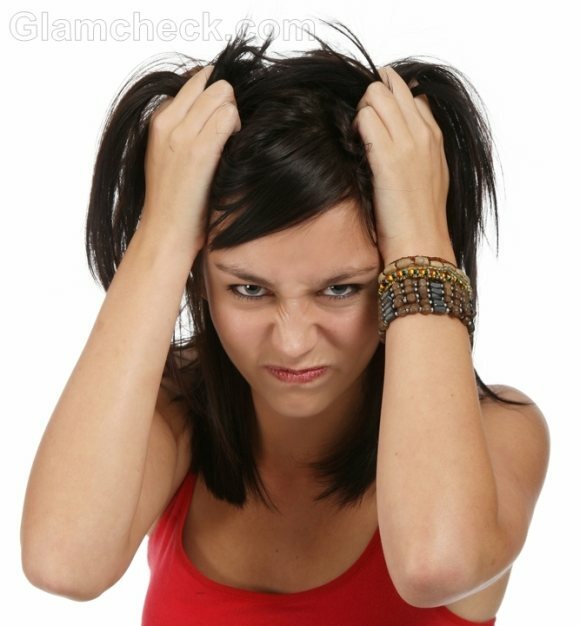 Your hair follicles are oily in nature because of which they keep releasing oil and make the hair sticky. Instead of sulking at your unusually oily glands, think of their brighter side. Minus the sticky hair, your oily glands work towards nourishing your hair and giving them a lustrous look. As far as eliminating the unwanted oil from your scalp is considered, it is not impossibility anymore. Let me throw some light on the facts on causes, prevention and treatment of oily hair to help you make your hair more manageable. Heredity– If you mother or father or both have oily hair, then brush yourself to inherit the same kind of hair. Nevertheless the changes that you make in your lifestyle or hair care regimen, you are unlikely to get rid of the extra oil glands on your scalp. Hair Texture- It is well observed that fine or thin hair is oilier than coarse hair. In addition, the more the hair on the scalp, the more would be the hair follicles to release oil. 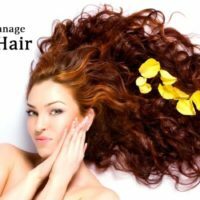 Ineffective hair care regime– Apart from the genetic predispositions, sometimes lack of a proper hair care regimen may make the hair strands dull, oily and lifeless. In particular absence of regular hair wash with the right shampoo results into the accumulation of dirt, oil and toxins. This makes the strands look greasy. 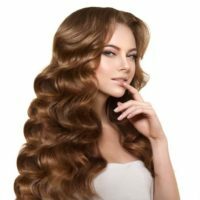 Improper cleansing- Experts say that if people use concentrated shampoo in one particular location on the scalp, then the rest of the regions are likely to produce excessive oil. 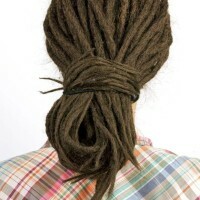 Further, if cheap and chemical laden products are used on the scalp, the hair is likely to become oily and dull. Presence of requisite oil glands on the scalp are considered important for maintaining the health and strength of the strands. However, excess of them can rather make them dull and lifeless. Here is a lowdown on some of the most effective measures to follow to prevent oily hair. Always use a mild shampoo to clean your hair every alternate or other day. It is important to know that daily cleansing of the scalp eliminates the deposits of excessive oil glands on the scalp and strips off unwanted oil. This action further stabilizes the production of the oil on the scalp. Shampoos that claim to moisturize your hair are likely to double the accumulation of oil glands on your scalp. Instead, make your pick from the range of shampoos that have special formulas to cut down the oil level on the scalp. It is important to apply conditioners on the tip of the hair only. Applying the conditioner on the roots of the hair are likely to add on to the deposits of oil on the scalp. This will aggravate your problem of oil deposits than eliminating it. Do not use hair styling products, especially, gel and mouse for oily hair as they are likely to increase the oil accumulation on the scalp. However, a light weight hair styling gel may be suitable for use for oily hair. Comb your hair as less as possible for frequent brushing or combing over your scalp may stimulate the production of oil and may make the hair strands oily. 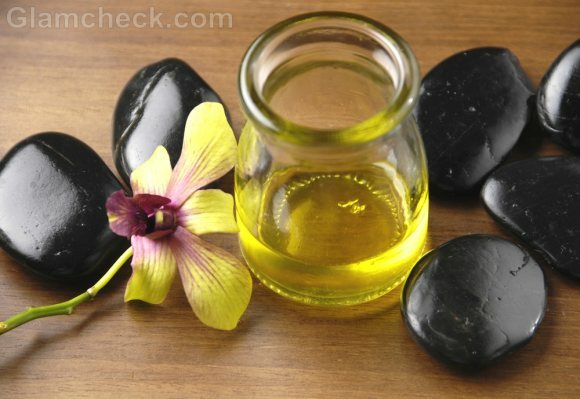 Further avoid scalp massage as doing the same may add on to the oil accumulation. It is advisable to sprinkle baby powder over the scalp as it tends to absorb excessive oil. This further prevents the oily hair. Homemade and chemical free astringent is a dependable solution to fight away the unwanted accumulation of oil on the scalp. The making of the same includes mix of equal portions of witch hazel and mouthwash and its application with cotton wool. The mixture acts as a potent antiseptic thus eliminating the excessive oil deposits. Lemon juice mixed distilled water makes for a great natural rinse. Rinsing hair with this mixture helps reduce oil on the scalp and further stabilizes the production of oil. Lemon can be essentially replaced by vinegar, though, a few people cannot bear its smell. A natural shampoo can be easily prepared by adding one teaspoon of Aloe Vera and a tablespoon of lemon extracts. The daily usage of the shampoo is highly recommended for daily usage by those with oily hair. Running or sprinkling just a dash of baby powder over the scalp well absorbs the excessive oil. This action can be infact done on a daily basis just minutes before setting out of home. To make sure to completely remove the excessive accumulation of oil, leave the shampoo on the scalp for a few minutes and then rinse. Avoid extensive rubbing or massaging of hair with the shampoo as it is likely to trigger the production of oil glands. Therefore, it is recommended to be gentle while rubbing the shampoo on the scalp. Use of limited amount of chemicals on the hair lifts the strands and makes it difficult for the released oil to travel from the root to the tip of the hair.